This was such a great distinction and had me stop and reflect more deeply. I understood exactly what she meant. Only you know your limits, but make sure you are not getting comfortable and staying within your limits. This reminded me that as coaches we have the same tool available to us of listening for, or offering distinctions for exploration. A distinction is when we contrast two or more things, concepts or ideas and seek to help our client explore, understand, and learn from the differences. Let’s explore distinctions by making a few distinctions! Let’s say your client says they want to be more successful. You could inquire into what ‘being more successful’ means to them and they might give you their reasons and/or definition of success. You could also inquire into what is meaningful to them about being more successful. One will lead you to the information about success (their “What”), and the other will go deeper into what’s really important to them about being more successful (their “Who”). This might open further reflection in the client and support them clarify what it is they are really seeking. This distinction came to me as I was putting laundry into the dryer recently. 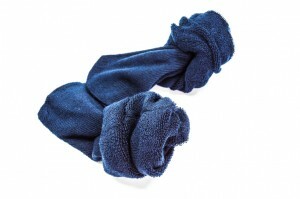 My husband takes his socks off and they are usually rolled up in a ball, which means that when they come out of the dryer they are still damp. I’ve asked him to stretch out his socks so they have the chance to be dried fully in the dryer versus hanging over a chair to finish drying. I thought of the distinction of change versus adapt. My husband is also a coach, so I brought this distinction to him for discussion. His viewpoint was that if he changed, then he’d see the value in stretching his socks out fully. Instead of adapting to my request, he saw it as complying with my request, which is following a directive and he might comply on one day and not the next. This led us to discussing not only distinctions between change, adapt and comply but also resisting change. A perfect example of how rich the offering of and discussion of distinctions can become! Helping the client explore distinctions can bring new clarity and create awareness by deepening the coaching conversation around how the client sees his/her world. As you are coaching, pay close attention to the words and concepts your client mentions and see if there are opportunities to inquire using a distinction. Or ask your client for a distinction or comparison between one thing they say and something else they might want to contrast that with. Are you preparing for your first or next ICF Credential? We’ve just released 2015 dates for our Mentoring Groups!